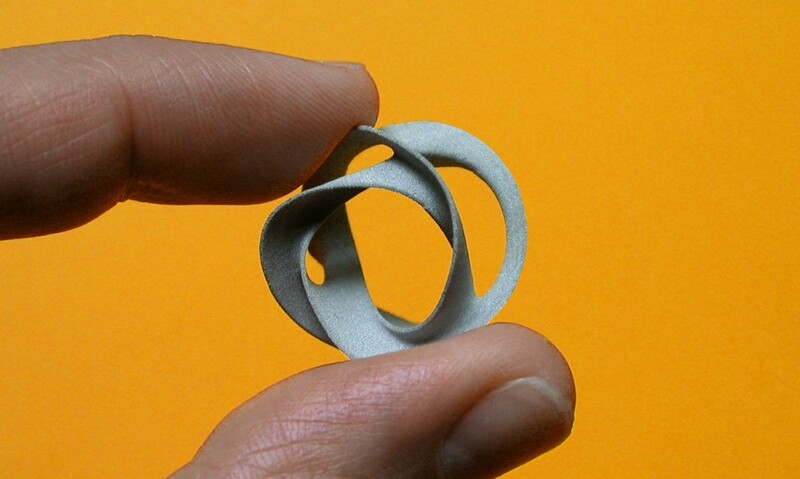 New design of a 3D complex geometry as a virtual 2D/3D logotype and 3D printed symbol for the new brand Digital Metal®, the new business area in additive manufacturing of Höganäs AB Swedish company. 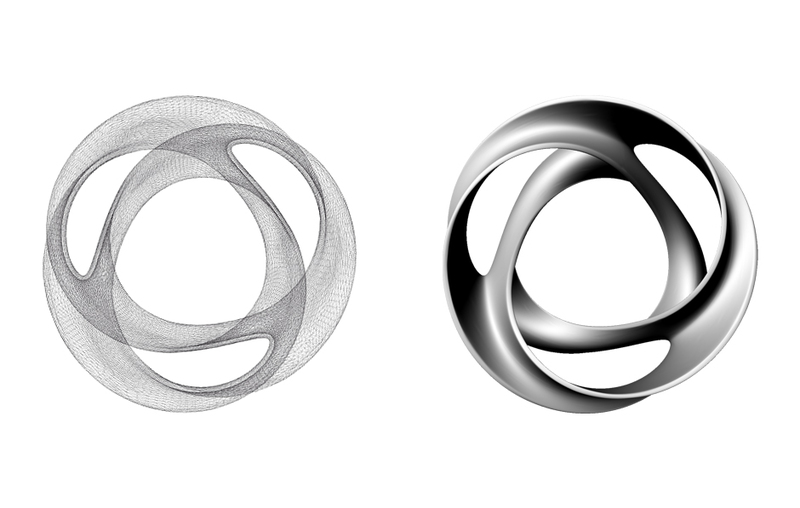 Höganäs was looking for a 3D complex geometry as a visual 2D/3D logotype which should be printable with Digital Metal technology. 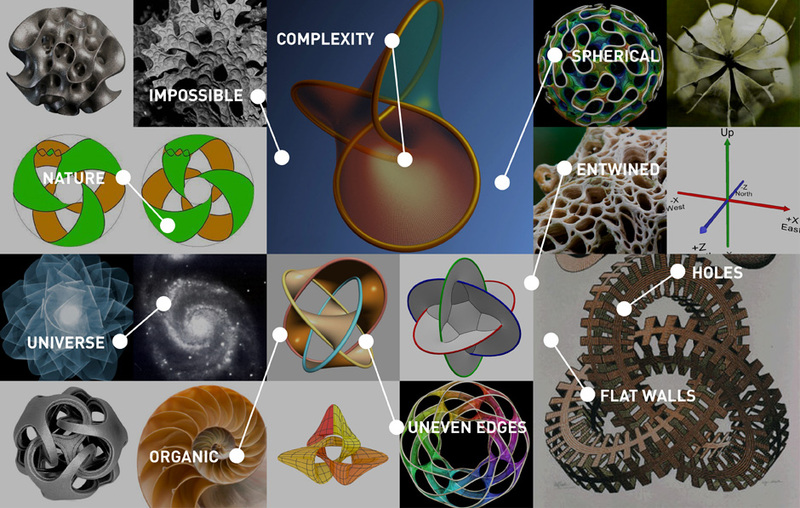 Through its communication agency, they wished a symbol from some suggested words and inputs like: impossible, complexity, spherical, entwined, holes, flat walls, uneven edges, organic, universe and nature. 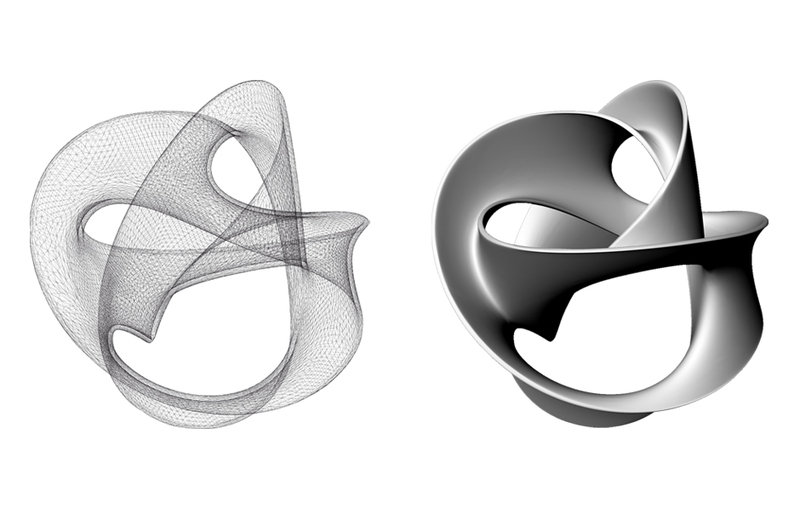 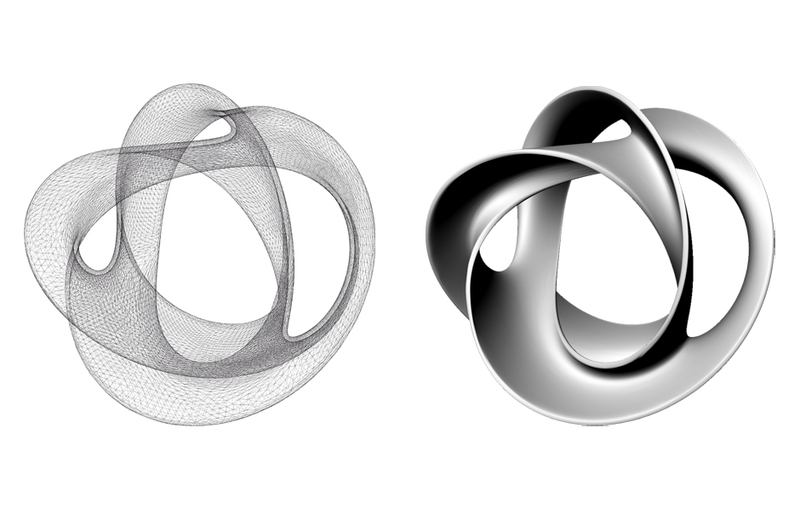 At the beginings we worked with different complex geometries, as a brainstorming for us, like a trianguloid trefoil knot, from a merge between the trefoil knot, as the simplest example of a non trivial knot, and a möbius strip. 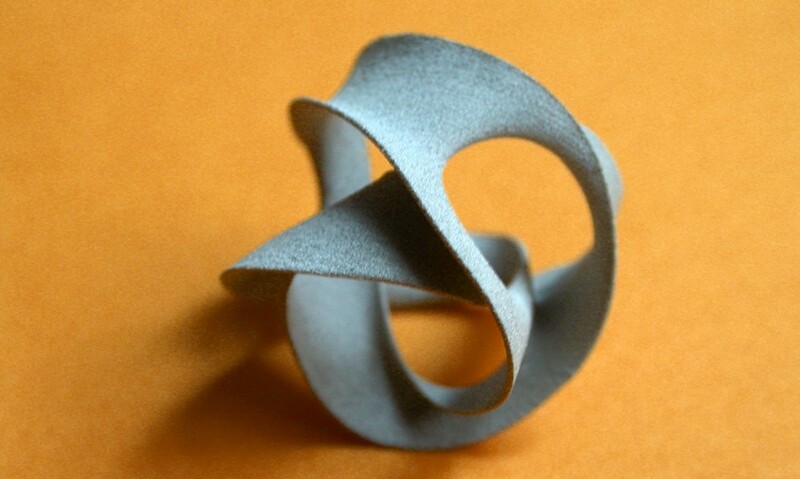 Or a Seifert knot, from a trefoil knot and Seifert surface is built up. 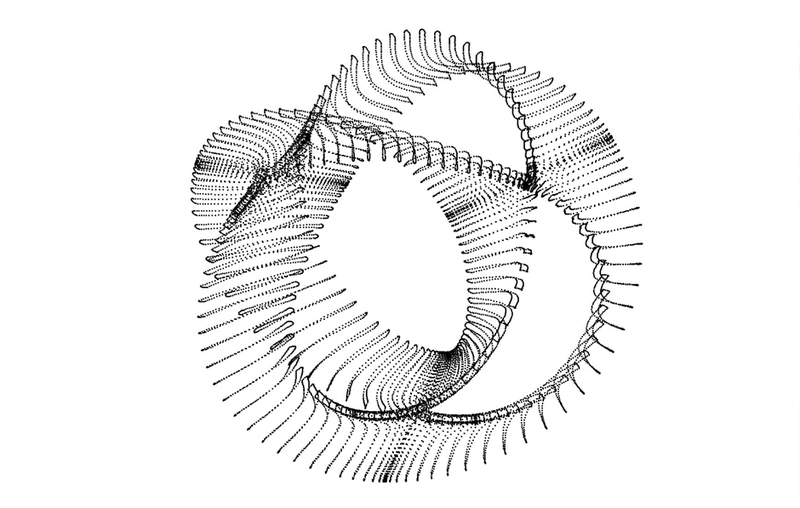 Or a “six axis” shape, any point in a physical world can be described by using the six directions. 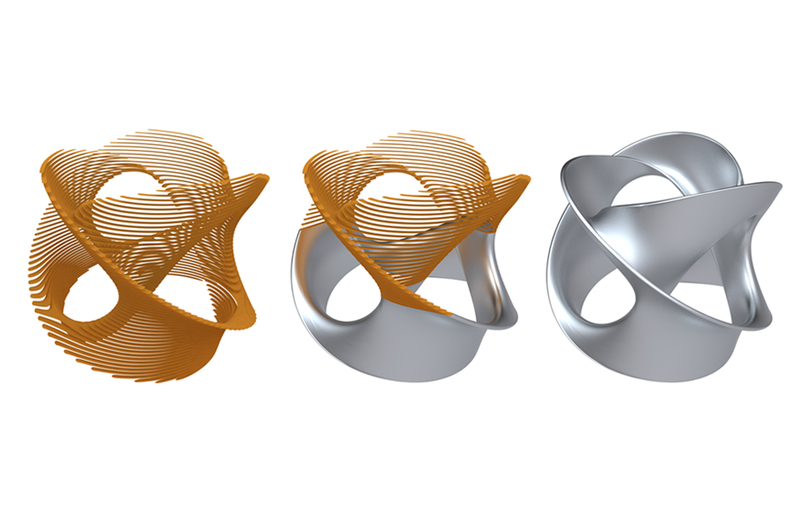 And finally a gyroid, an infinitely connected triply periodic minimal surface, found in butterflies and microcellular structures. 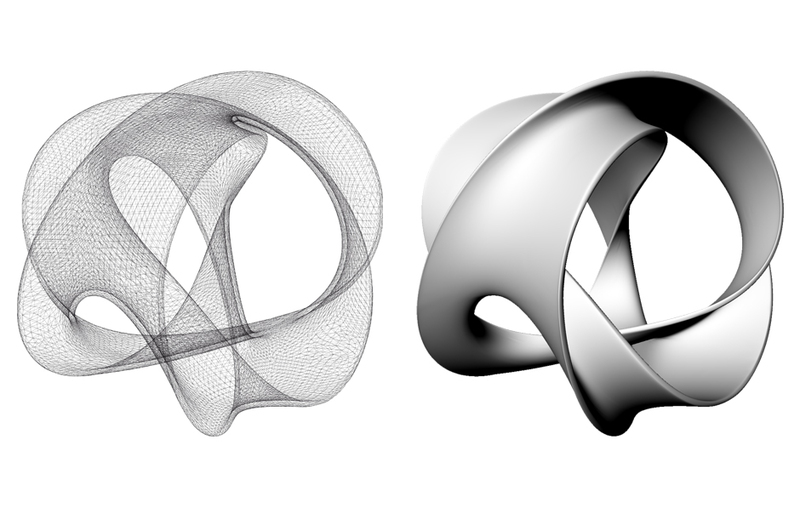 We had to design a 3D model suitable as logotype and printable, and trefoil knots or borromean rings geometries was the most liked. 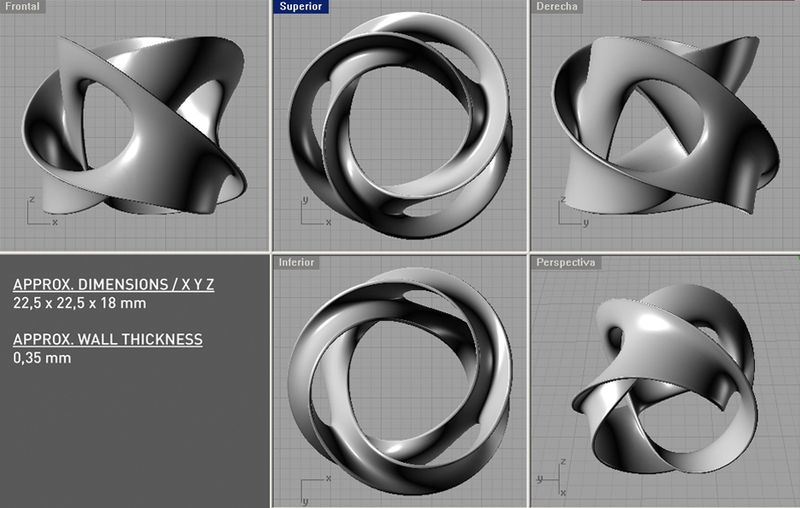 Then we generated some options around it. 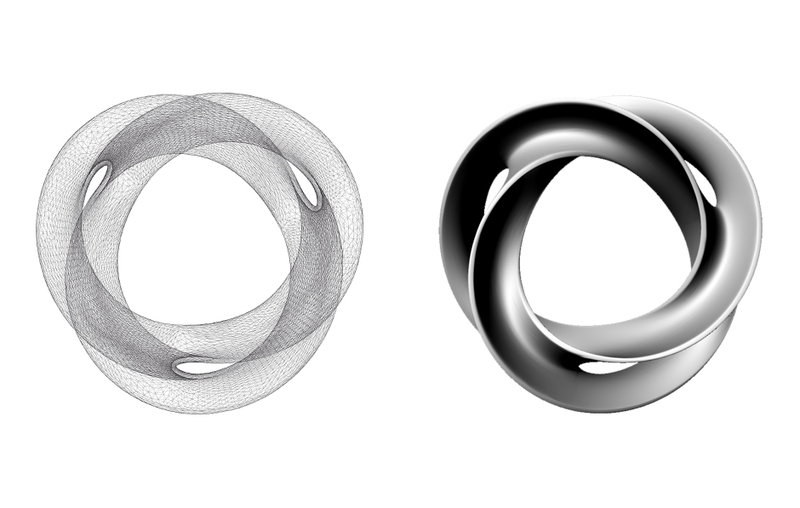 In each proposal, we showed the different points of view of the object, finding the exactly point of view that it will work as 2D logotype. 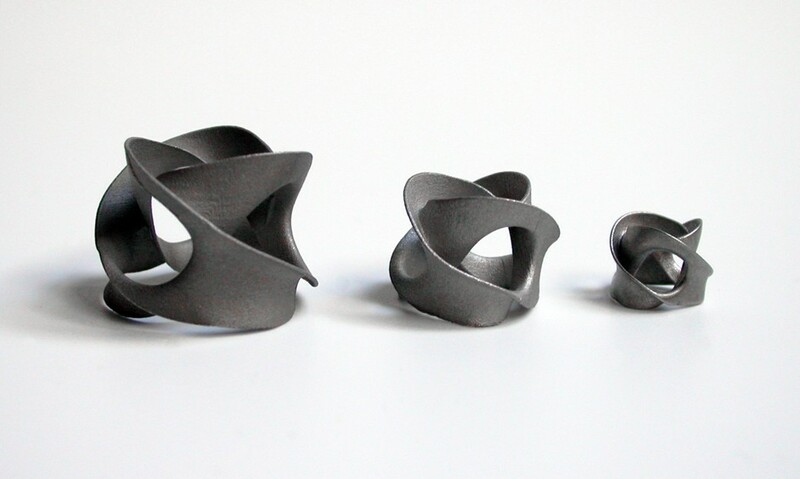 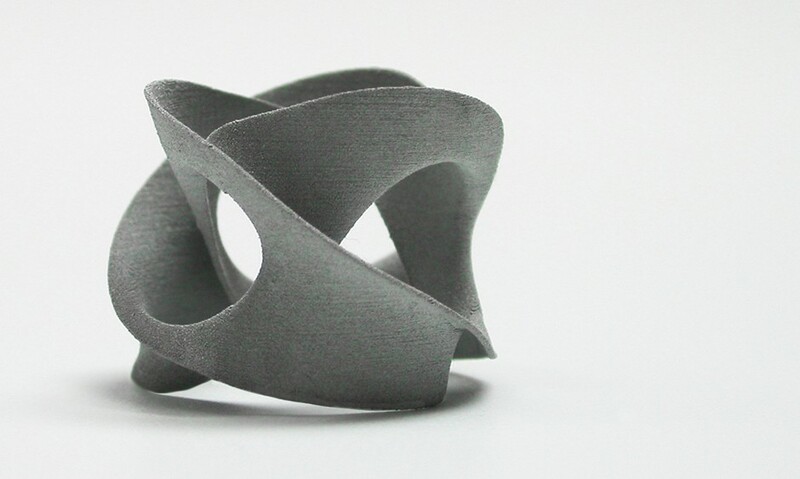 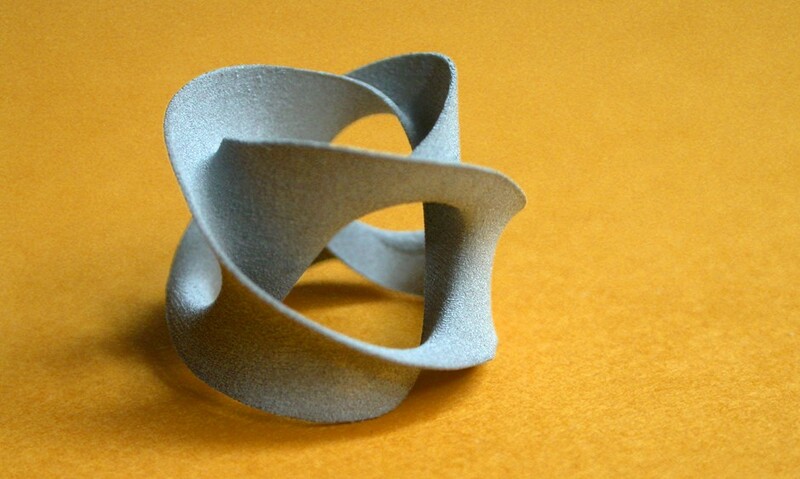 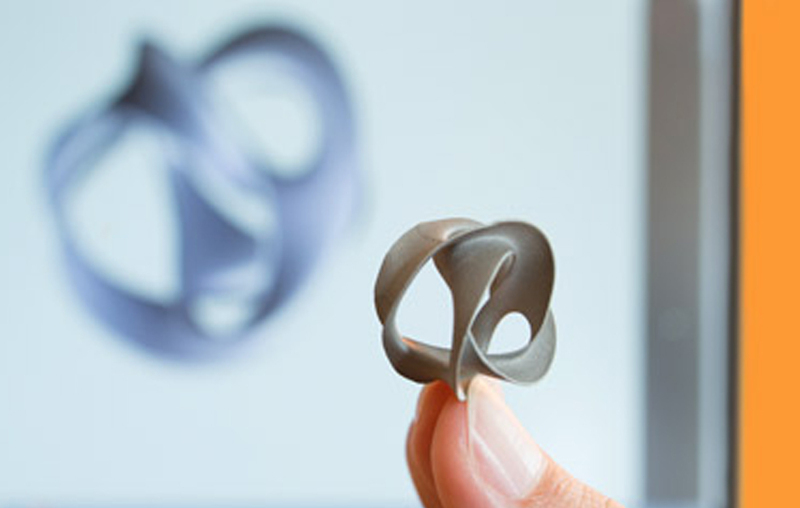 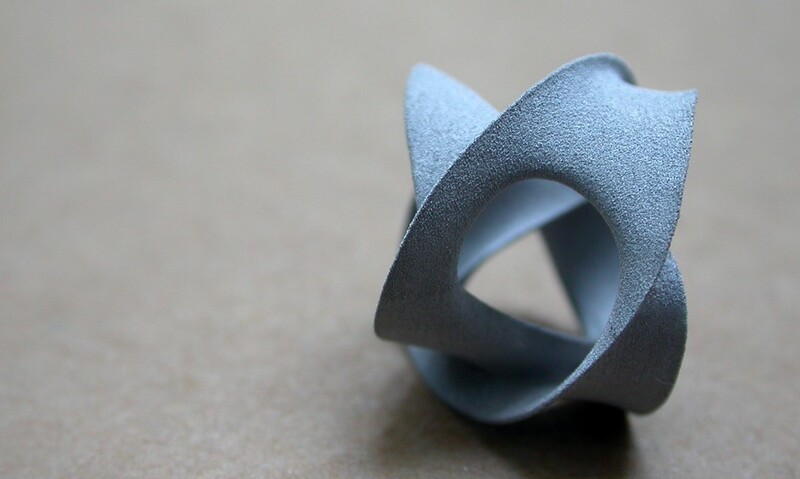 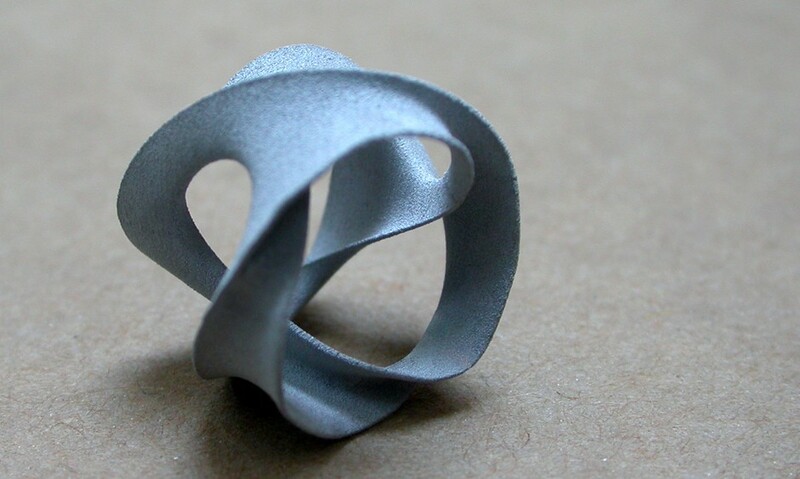 The final selected mathematical trefoil knot would be a small object, between 1 or 2 cms of diameter, and we needed to take in account some technical challenges of Digital metal Technology, like wall thickness, solid construction and avoid deformations. 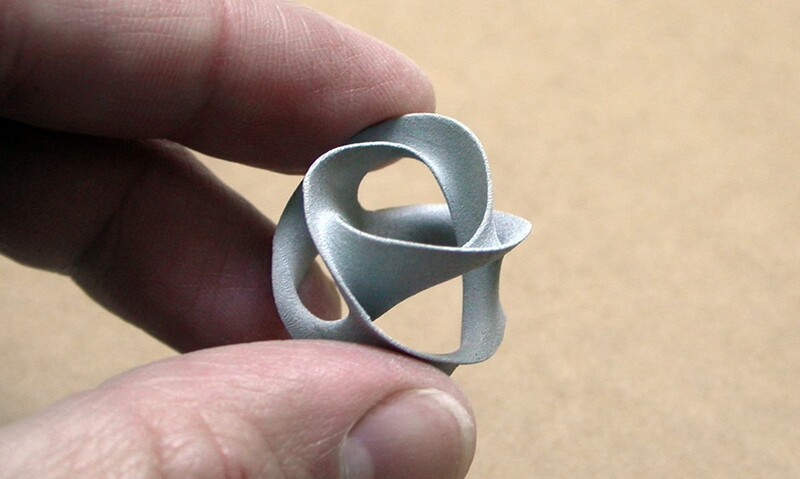 The 3D printed logotype was designed to show the advantages of Digital Metal Technology, based on precision Ink-Jet on metal powder bed. 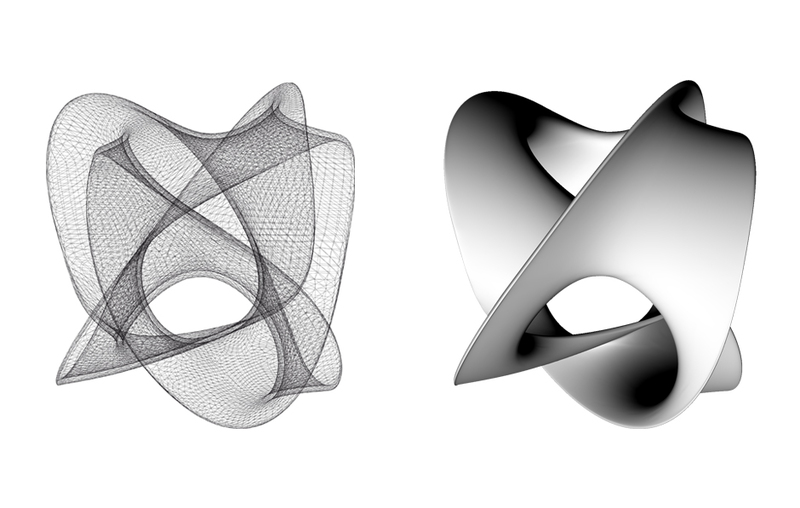 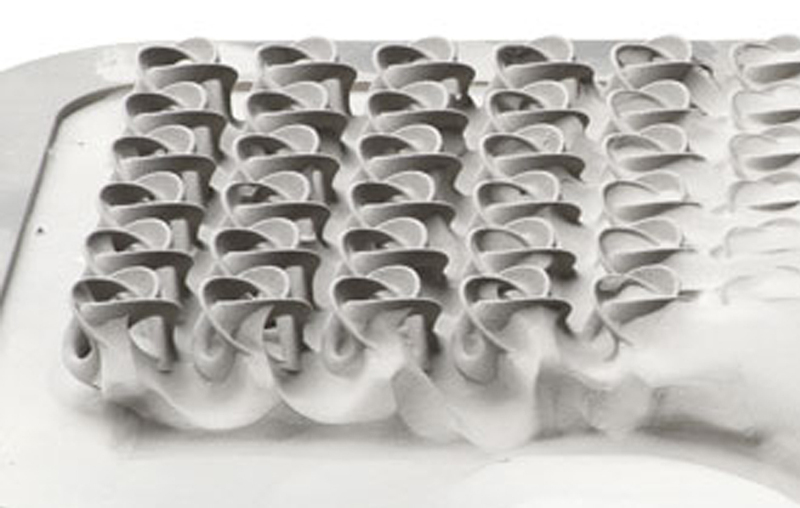 We used ‘Sculpture Generator 1′ by Carlo H Séquin from UC Berkeley, to compute the initial 3D model, to follow working on it. 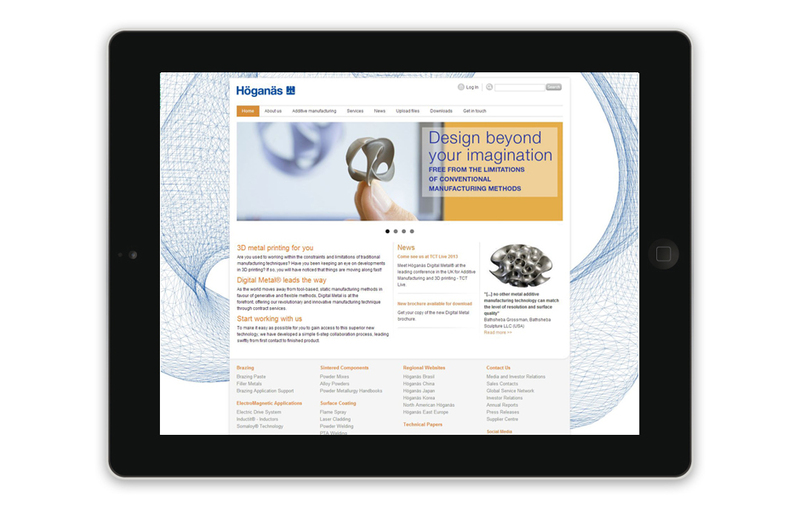 Also we created some 3D illustrations to use as graphic elements in communication and as help to explain the Digital Metal process.